Dimensions: 8in. × 0.4375in. × 10in. In 1916 the building trades were among the most strongly organized in Cleveland. 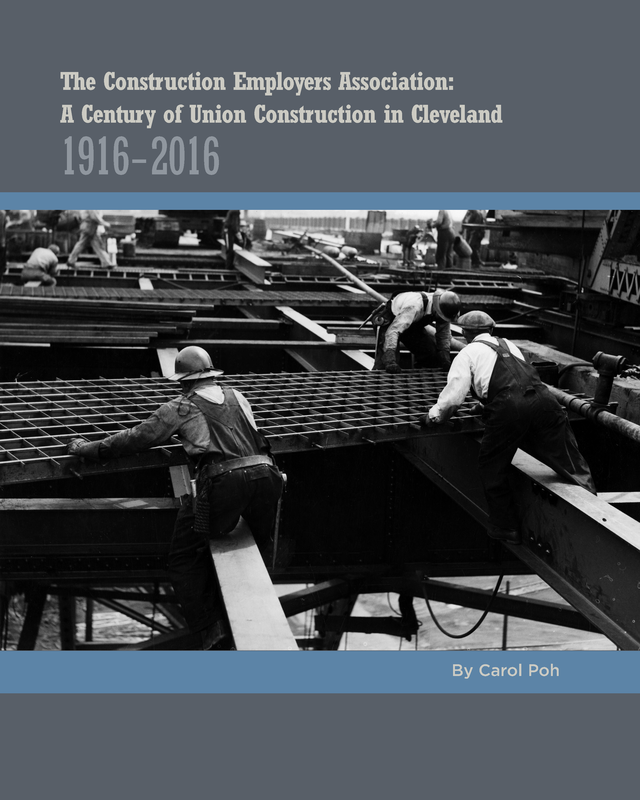 In this history of the Construction Employers Association, author Carol Poh presents the untold story of how Cleveland’s contractors organized to meet and manage the challenges presented by the powerful building trades unions. It is an account of rough-and-tumble labor relations as they played out amid prosperity, depression, war, suburban growth, urban decline, demands for equal employment opportunity, and downtown renewal. The Construction Employers Association “has a great story to tell” writes David J. Wondolowski, executive secretary of the Cleveland Building and Construction Trades Council, in a foreword to the book. “When I say it’s a great story, I’m certainly not suggesting that it’s a glamorous one. The story is really about the fight for survival in a tough market that has always had its own unique challenges.” The reader will see the built environment in a new light and come away with a fresh respect for the union contractor.